Valeant Pharmaceuticals is having a rough day in the market today, and for a very good reason. As I predicted in a post about VRX yesterday, the company has reported preliminary fourth quarter earnings, missing expectations in a big way. The company also provided relatively weak first quarter guidance. 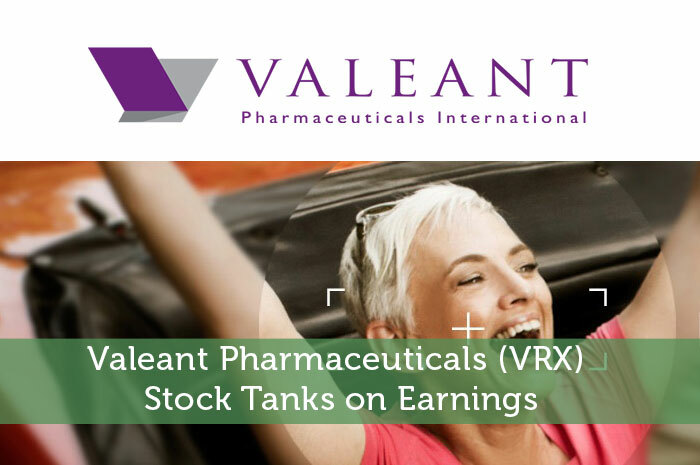 Today, we’ll talk about what we saw from the preliminary earnings release, how the market reacted to the news, and what we can expect to see from VRX moving forward. Earnings Per Share – In terms of earnings per share, analysts expected that the company would produce $2.61 in the quarter. Unfortunately, preliminary data shows a wide miss, with VRX producing earnings in the amount of $2.50 per share for the quarter. Revenue – While earnings may have been a missed, when it comes to revenue, we saw relatively positive data. While analysts expected the company to generate $2.75 billion in revenue, it was only able to generate $2.8 billion in revenue for the quarter. Guidance – The biggest concern among investors comes from first quarter guidance. In the first quarter, VRX expects that it will generate between $1.30 and $1.55 per share in earnings on total revenue of between $2.3 and $2.4 billion. This is well below previous guidance released in the amount of $2.35 to $2.55 per share on revenue of $2.8 to $3.1 billion. As investors, we know that the news moves the market. Any time there is negative news with regard to a publicly traded company, we can expect to see declines. These declines are generally exacerbated surrounding negative earnings. So naturally, following the earnings release, VRX is down in a big way today. Currently (12:13), VRX is trading at $35.67 per share after a loss of $33.37 per share or 48.33% thus far today. Moving forward, I have a relatively mixed opinion of what we can expect to see from VRX. In the short run, I’m expecting to see further declines as I predicted in the post mentioned above. However, in the long term, I find Valeant to be an incredibly impressive stock, and thanks to the declines that are going on and to come, it’s possible to get in at an incredibly low price. I understand concerns with regard to prescription numbers after Philidor. However, VRX has already made up for quite a bit of the losses with Walgreens. All in all, things don’t look good for the next six months or so, but VRX didn’t become the massive company it is today by folding under pressure. All in all, things look great for the long run and the short term declines present a great entry point.